Manufactured in Gujarat, the net sales of Figo stood a little under 1000 units, whereas that of Aspire stood around 2,000 units. Popular American automaker Ford, has announced discounts up-to Rs 1 lakh, including other non-monetary benefits, on their line of Ford Figo hatchbacks and Aspire sedan cars. The move comes in light of dwindling sales of the two vehicles, despite having a powerhouse engine and a spacious cabin. First introduced in 2015, the two cars failed to strike a chord with car enthusiasts in the country. Over the past few years, as sales started to consistently wane, the company has finally called off the production of the vehicles and decided to take the two cars off-road. Industry analysts suggest that the cars are expected to receive a facelift and would be re-introduced in the marketplace very soon. Few of the changes to look forward to includes a 6.5 inch touchscreen infotainment system powered by Ford's SYNC3 software, 6 airbags for traveller's safety, perimeter alarm, hill launch assist, automatic climate control, multifunctional steering wheel along with Ford MyKey. Ford's latest car, Freestyle is also derived from the same platform as Figo hatchback. The new car claims to be a cross over with rugged design cues and a substantial ground clearance. The equipment list on the car is also among the best segment. The car also get's first-in-segment features like traction control and Active Rollover Prevention (ARP). The new feature-list is expected to make it to the new Ford Figo and Figo Aspire facelift. As far as engine options are concerned, Ford will continue with its older 1.5-liter diesel power train but the petrol variant will get an all new 1.2-litre Dragon engine which puts out 96PS of power and still manages to give out a ARAI mileage of 19.0 kmpl. 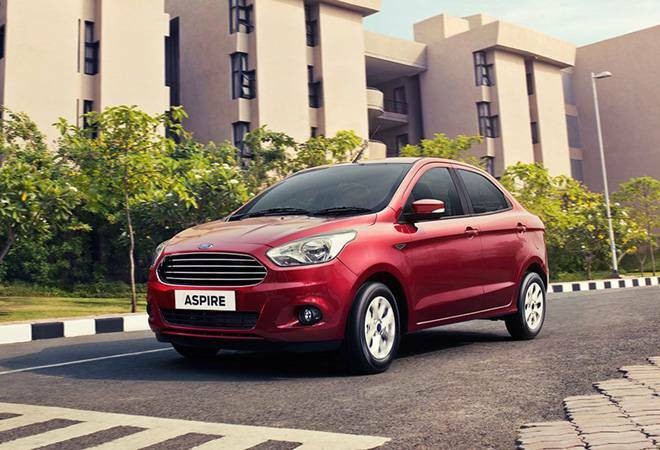 Aspire automatic might also get the more powerful 1.5-liter Dragon engine that comes with the latest Ford Ecosport.